At Crawley Cleaners we are committed to providing the best domestic cleaning experience for your property. As we say, no cleaning job is too big or too small and you can be assured that we will give 100% commitment to any cleaning task at hand. We clean all types of properties from one bedroom flats to large detached properties. You can count on Crawley Cleaners cleaning up. Whether it be you need a helping hand from Crawley Cleaners with your Domestic Cleaning on a weekly, fortnightly or even just on a once a month basis Crawley Cleaners will provide a service to accommodate your specific needs. We will do our upmost to work around your daily schedule. With the highest of standards Crawley Cleaners Domestic Cleans are a fantastic way of helping you keep on top of the daily stresses around the home allowing you to enjoy some free time. Our regular Domestic Cleaning Services at Crawley Cleaners can literally make your life that little bit easier. So why not let Crawley Cleaners Clean up for you! While you take a break. With our very high standards of Cleaning and friendly professional services you can rely on Crawley Cleaners to provide you with the best Cleaning experience around the home. Floor cleaning, Vacuum carpet and non-carpeted areas. General dusting and polishing of furniture surfaces, glass, mirrors, remove spider webs and pet hair. Bathroom and toilet cleaning, sanitize sink, toilets, shower and bath tub. 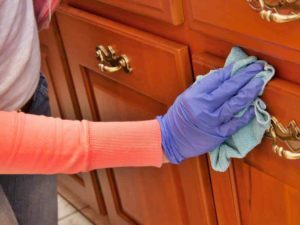 Kitchen cleaning, wipe down cabinet faces, countertops, sanitize sink, polish stainless steel, clean exterior of appliances. Here at Crawley Cleaners we pride ourselves on our Domestic Deep Cleans. There is nothing more rewarding for us at Crawley Cleaners than seeing the appreciation from our clients when we have been in to do a Deep Clean. We will stay as long as it takes to get your property back into the best of standards possible. There is no limit on our hours on our Deep Cleans so you really do get a very thorough Deep Clean from the team at Crawley Cleaners. 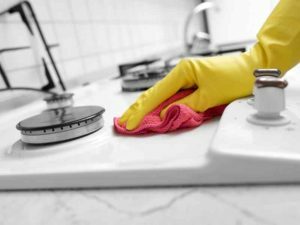 We will not leave until you are highly satisfied with the service we provide.You can have the whole property Deep Cleaned or if you just wanted parts of the property Deep Cleaned we can provide the best Deep Clean service to suit your own specific needs. Many of our Domestic Deep Clean Clients we have cleaned for, have us back in on a regular basis to keep their property super clean after our Deep Cleans as they love it so much! Kitchen cabinets cleaning external. Fridge clean internal / external. Kitchen appliances external clean. Hob external clean. Bathroom clean. Dust and polish furniture. Clean mirrors. Radiator cleaning front and bottom. Remove spider webs and pet hair. Vacuum carpet and non-carpeted areas. Wash floors. Window sills internal. Rubbish removed from bins. For more information on how we can help you with any domestic cleaning requirements you have, call us at Crawley Cleaners on Landline : 01293 279599 or Mobile : 07846 646725 or use our contact form.